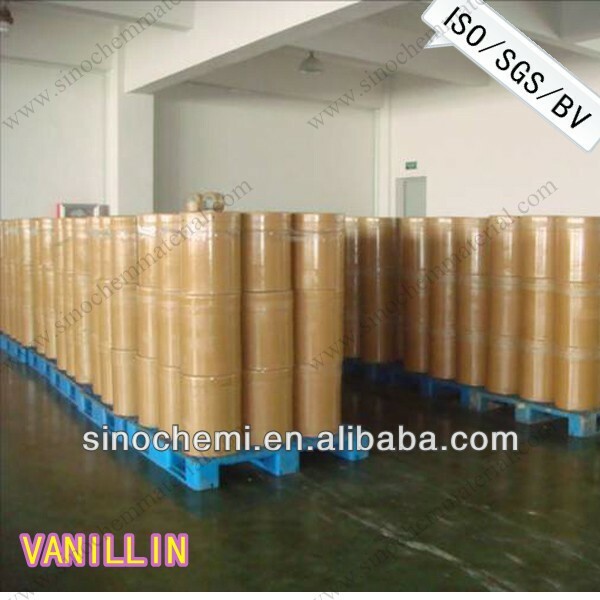 0.5KG/ TIN, 40TINs per carton, 10MT/20'FCL; 25KG fibe drum, 12MT/20'FCL for vanillin ethyl vanillin food flavor. Vanilla is a flavor derived from orchids of the genus Vanilla, has a strong vanilla and milk flavor. organic solvents and in storage than vanillin but does not have the true flavor. 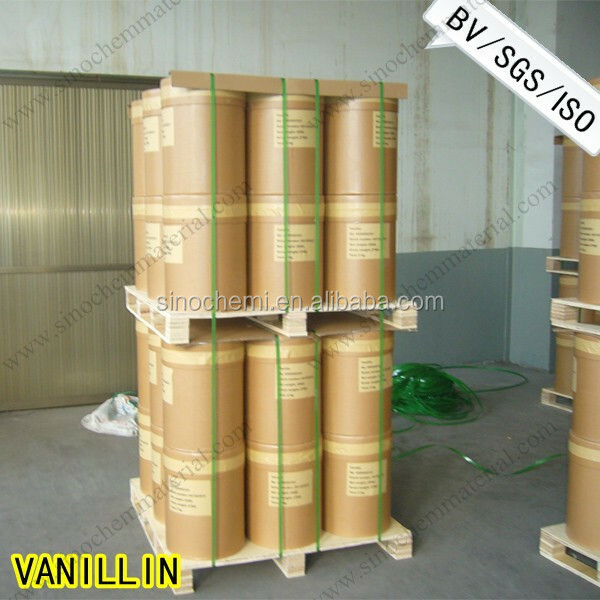 1. vanillin is one of the important flavors with a dense of sweet cream odor. 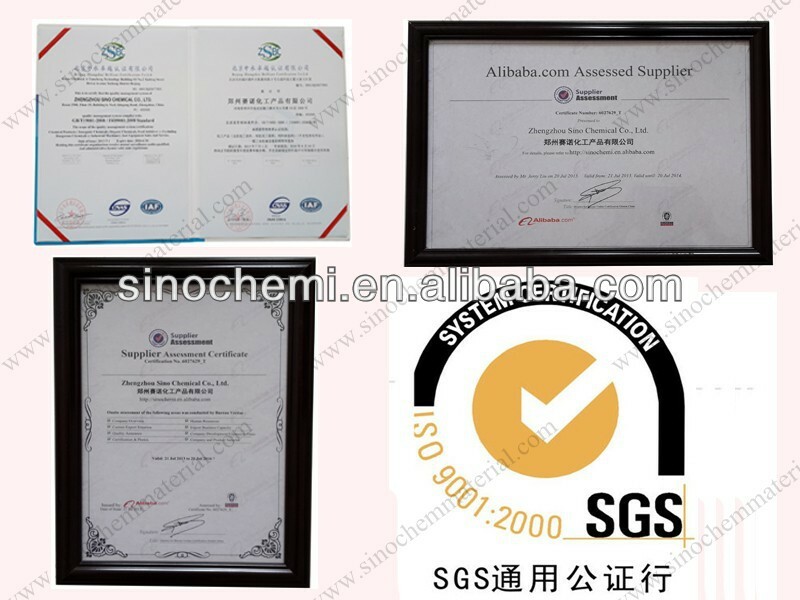 wine and feedstuff well as in cosmetic, and in perfuming of rubber, plastic and other products. 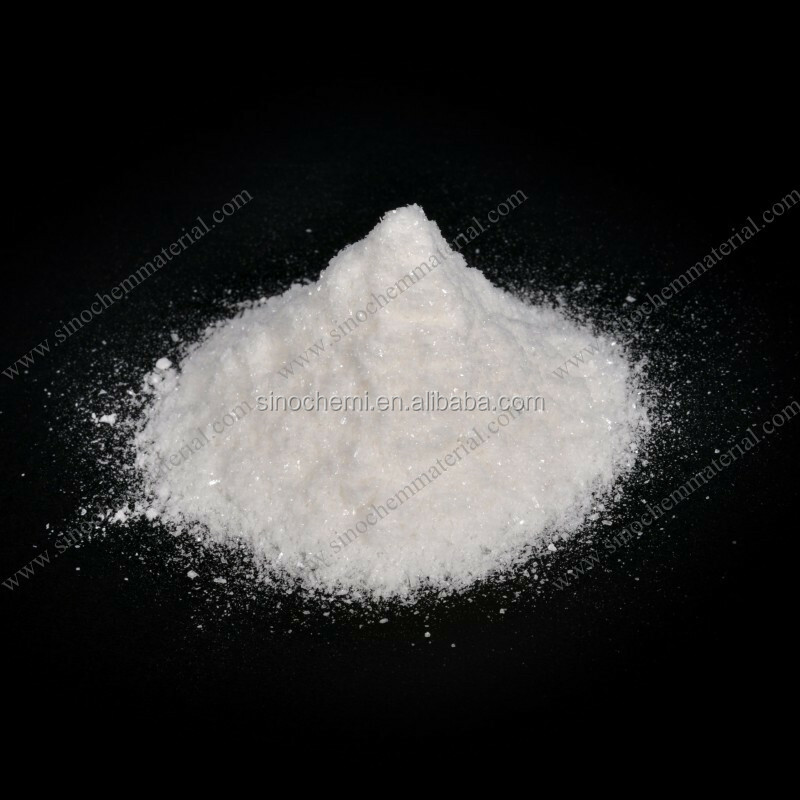 It is used in pharmaceutical preparations and the food industry as a flavoring agent to replace or strengthen vanilla. 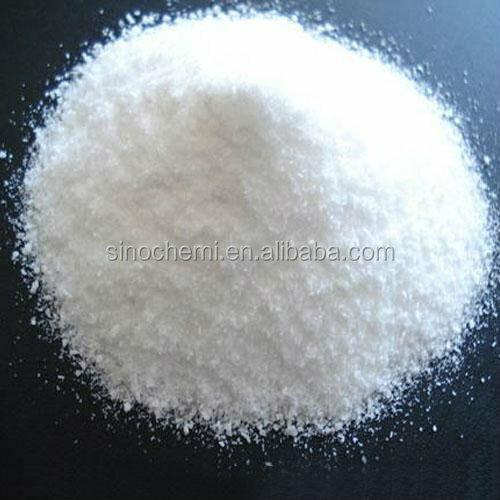 It can’t be used with oxide and strong acid. Avoid being stored in iron containers. Protect from light and keep containers closed, Avoid contamination from other special smell.